With so many expenses to keep track of in a modern household, more and more people are opting for cheaper TV service. 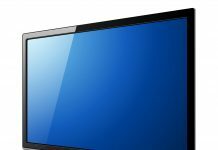 What this often entails is looking past cable and choosing antenna TV, a much more cost-efficient option. 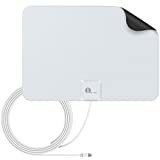 The most important aspect of having antenna TV is choosing the proper indoor TV antenna, as this will get you the signal required to watch television. 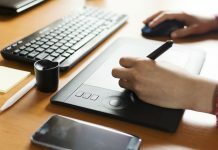 Because of the plethora of choices of antennas on the market, it is best to read this article before making any purchases. The article will go through everything you need to know about antennas, and will help you make an informed decision. Here is a comprehensive list of frequently asked questions people have regarding antennas. It is a device that gives signal to a television, and as the name implies, it is kept indoors, right by the TV. 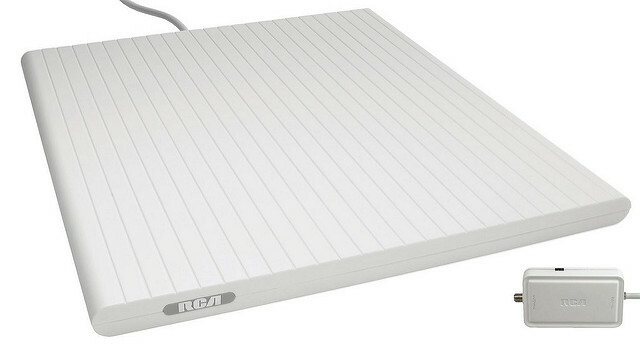 It can be mounted to a wall, placed on a table, or positioned anywhere that gets a good signal. 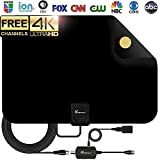 This device is used in lieu of getting cable TV channels, and many people who are content with receiving the main broadcast channels without paying a massive cable bill will choose a TV antenna. The antenna receives signals from broadcasting antennas from television stations. Generally, the higher up an antenna is placed, the better it will acquire a signal. The signal will also be improved if the antenna is not in a room that is obstructed by many walls, so a room that is near the outer part of a structure will get a better signal than a room in the center. 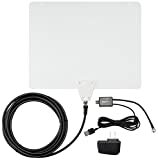 The marketplace for TV antennas has changed a bit in the past few years because of the immense success of Amazon, but they can still be purchased at electronics stores in addition to online. In this list, the prices displayed are found through online buyers, whether it be Amazon or the company’s own website. This antenna measures 11.6 x 10.5 inches and has a 16-foot cable. There are three versions of the antenna: one with a 25-mile range, one with a 35-mile range, and one with a 50-mile range. The pricing for this product is in accordance with these three versions, with the 25-mile antenna costing $8.85, the 35-mile costing $19.99, and the 50-mile costing $24. It is the 50-mile range that earns a spot on this list, as it can get 50 different channels with clear picture. Warranty, free shipping on orders over $25, and free two day shipping with Amazon Prime. With mounting holes and screws included to set up on a wall adjacent to the TV, this antenna displays impressive performance capabilities. 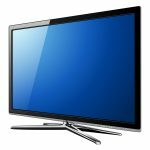 It receives 1080 HDTV broadcasts, reception covering a 60-mile radius, more than twice that of the AmazonBasics antenna, and amplified signals to get the best picture possible. If bought from the TERK website it will cost $40, and there are frequently deals and offers on Amazon that lower the price. Buying this from Amazon will get you a one-year limited warranty, free shipping on orders over $25, and free two day shipping with Amazon Prime. Measuring 18x5 inches and only 0.7 inches in width, this a skinny and sleek antenna with lots of power. It has a 10-foot detachable cable, a 40-mile radius range, and multidirectional capabilities to acquire signals. This antenna is also mountable on walls or tables, and can even be set up outdoors as well. The standard price is $49.95, and a one-year warranty protects the consumer if second thoughts occur or if repairs are necessary. 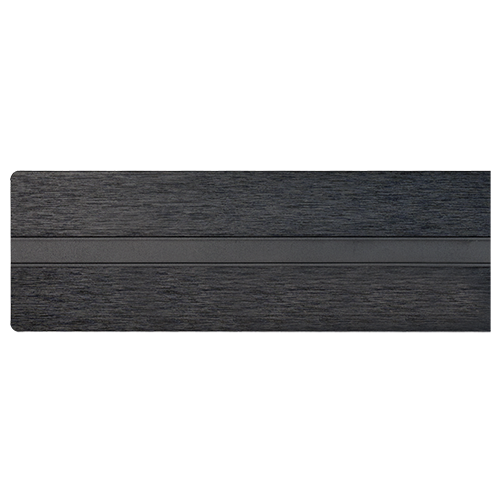 A truly innovative antenna, the ReLeaf is compatible with 1080 HDTV broadcasts and 4K Ultra HD alike. There is a 10-foot detachable cable readily available, and four push pins to help mount to whatever surface you desire. Multi-directional signals make it much easier to get a clear picture without having to point the antenna at anything. With a 30-mile range, this antenna costs $34.99, and it is backed by a one-year warranty and a 30-day money back guarantee. The one-year warranty is appealing to consumers, as is the fact that it is designed and manufactured in the United States. It costs about $56 and is covered by a one-year warranty. This antenna lives up to its name, as the width measures just 0.2 inches. The super thin model can be mounted to any surface inside, and the small size helps quite a bit with being unobtrusive wherever you decide to set it up. The other dimensions are 13.3x9.3 inches, and it weighs a mere 0.96 ounces! The amplifier in the antenna makes it possible to receive 1080 HDTV broadcasts and 4k ultra high definition, and the range is a whopping 50 miles. The price for this amazing antenna is only $27.99 with a one-year warranty and a 30-day money back guarantee. In addition, free shipping on all Amazon orders over $25. Like the AmazonBasics model, this antenna comes in three different versions, with a 40 mile, 60 mile, and 70 mile radius. The focus for this list will be on the 60-mile version, as the 70-mile costs $142.95 and is out of the predetermined price range. The 60-mile antenna costs only $49.95, however, proving to be a much better deal than the 70-mile version, and comes with many impressive features. 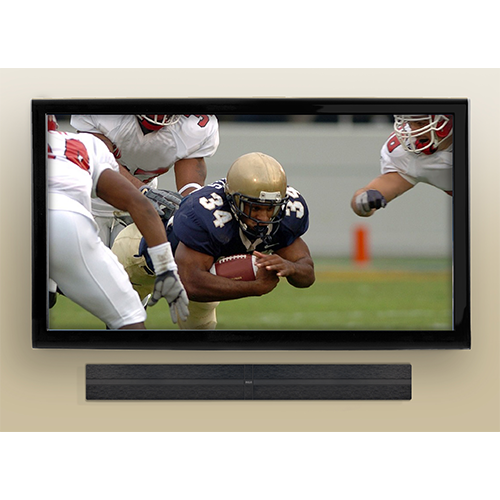 It is multidirectional, has a pivoting base, and is 4k ultra high-definition ready. Measuring 31.3 x 17 inches with a 3.8 inch width, this is one of the larger antennas out there. It even comes with a lifetime warranty, making this a very smart purchase. With a 25-foot cable, this antenna is incredibly mobile. A 35-mile range also makes this antenna able to acquire great signal. Weighing in at half a pound, it is a very light and easy device to move around and operate. It only costs $20 and comes with a 90-day warranty, so this is one of the cheaper options that still packs a punch. It does not have a built-in amplifier, which means that weaker signals can be prominent, but it can still pick up strong signals from within its radius. It only costs $20 and comes with a 90-day warranty, so this is one of the cheaper options that still packs a punch. The most impressive feature of this antenna is its incredible 80-mile range. Having the biggest radius of the list, one can assume the Vansky will have the highest cost as well. But $20 is all you need to pay to get this great antenna. The dimensions are 12.5x7.2x1.4 inches, and the weight is just 10.4 ounces. Included is a 16.5-foot cable, a USB adapter, and a one-year warranty with a 45-day money back guarantee. one-year warranty with a 45-day money back guarantee. After considering all of these factors and reviewing the ten best antennas, it is time for the verdict. 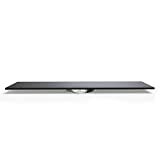 In our view, the best indoor TV antenna is the 1BYONE Super Thin HDTV Antenna. 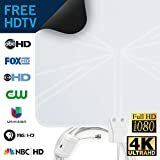 This antenna has it all—fantastic 50-mile range, 1080 HDTV and 4k Ultra HD reception, amplified signals for a better quality picture, a slim design with a weight of less than an ounce, and a price of only $27.99. It is true that there are some antennas that have a greater signal reception area, some that are slimmer, and some that are cheaper. If one of these factors is very important to you, it might be smart to look at the other models reviewed to find your personal best option. For someone whose biggest concern is acquiring a long reaching signal, the Vansky Indoor Amplified Digital HDTV Antenna is your best bet. 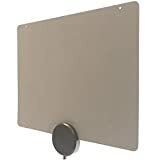 If small size matters to you, consider the AmazonBasics Ultra Thin Antenna or the Mohu Blade Indoor/Outdoor Bar Antenna. For the cost-conscious consumer, there are four antennas on this list under $30. Whatever sounds right for your own situation, this list is sure to provide an option that works. However, if you are looking for an antenna that is best overall and can get you the most for your money, the 1BYONE Super Thin is the antenna for you.